The aim of this study was to determine the effect of educational software on self-efficacy of Iranian pregnant women to cope with labor. 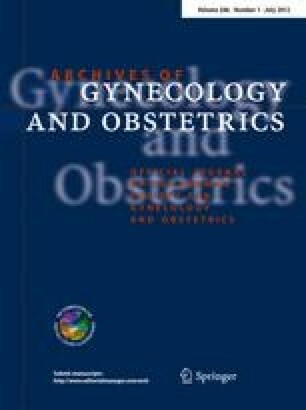 This study was a randomized controlled trial which was carried out on 150 Iranian nulliparous pregnant women randomly assigned to two groups of 75 women each. The control group routinely did not receive any kind of childbirth education and the intervention group only received the childbirth educational software for 6–8 weeks. In order to determine self-efficacy, the Childbirth Self Efficacy Questionnaire (CBSEI) was used which measures the outcome expectancy and the self-efficacy expectancy of the first and second stages of labor separately. This questionnaire was completed at 28–32-week gestation as a pre-test and at 36–38 weeks as a post-test by the participants. Data were analyzed using Chi-square, Mann–Whitney U and Wilcoxon tests. After the intervention, the median and mean of CBSEI scores for the intervention and the control groups were 607, 604/20 ± 16/630 and 394, 392/51 ± 16/758, respectively. There was a statistical difference between the two groups (p = 0.001). Also, statistically significant differences existed in the median of outcome expectancy and self-efficacy expectancy after intervention in both stages of labor between the two groups (p = 0.001). The educational software program significantly increased self-efficacy of Iranian pregnant women to cope with labor. Despite lack of educational childbirth classes in Iran, the use of this method is recommended. However, to find whether this technique can be substituted for the educational classes, further studies are needed.